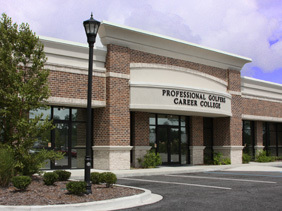 PGCC(Professional Golfers Career College) 힐튼헤드(Hilton Head) 캠퍼스는 사우스 캐롤라이나주 블러프턴에 위치합니다. 블러프턴은 세계적으로 유명한 힐튼헤드 아일랜드에서 다리를 건너면 바로 접할 수 있고, 자동차로 30분 이내의 거리에 약 40여개 이상의 골프 코스가 있는 역사적인Lowcountry 타운입니다. 아열대 기온과 맑은 하늘, 그리고 다양한 골프 코스를 자랑하는 힐튼 헤드는 골프 시즌이 1년 내내 계속되어 세계에서 인정받는 골프 리조트 촌이라고 할 수 있습니다. 신생 캠퍼스인 힐튼헤드 캠퍼스는 컴퓨터실, 도서관, 골프장비수리실, 휘트니스공간, pro-shop(골프용품판매점), 강의실, 2,000 평방피트의 실내 골프 스튜디오를 갖추고 있습니다. 본 캠퍼스는 최신기술과 역사가 완벽하게 결합된 이상적인 교육 환경을 제공하고 있습니다. 골프 스튜디오는 최첨단으로 풀스윙 및 퍼팅을 분석하는 시스템이 구성되어 있으며, 강의 뿐만 아니라 개인 레슨에도 활용이 되고 있습니다. PGCC 힐튼헤드 캠퍼스의 학생들은 힐튼헤드 지역의 가장 우수한 챔피언쉽 코스에서 골프를 칠 수 있습니다. 힐튼헤드에는 George & Tom Fazio, Arthur Hills, Rees & Robert Trent Jones, Pete Dye, Jack Nicklaus, Arnold Palmer, George Cobb, Gary Player, Fuzzy Zoeller, Willard Byrd 등 매년 100만 번 이상의 라운드를 볼 수 있는 골프코스들이 디자인되어 있습니다. 골프 비즈니스를 배우기 위해 이보다 좋은 곳이 있을까요? PGCC의 사우스 캐롤라이나 주, 힐튼헤드 캠퍼스의 학생들이 선택할 수 있는 일반적인 골프 코스들은 아래와 같습니다. Crescent Pointe Golf Club is a world-class Arnold Palmer Signature Course. It’s pure Palmer, with generous fairways, but challenging approaches to its many elevated, undulating greens. The course also features beach bunkers on several of the holes lending a true island experience. Five unique par 3s await and the three par 5s are all birdie holes, but all require you to carry the ball over the water to score a birdie. The 18-hole “Crescent Pointe” course at the Crescent Pointe Golf Club facility in Bluffton, South Carolina features 6,773 yards of golf from the longest tees for a par of 71. The 18-hole Eagle’s Pointe opened in 1998 and has quickly become one of the most popular “off-island” courses with both local golfers, as well as tourists. Designed by Davis Love III, Eagle’s Pointe was engineered and constructed as one of the most environmentally compliant golf courses in Beaufort County and Bluffton. 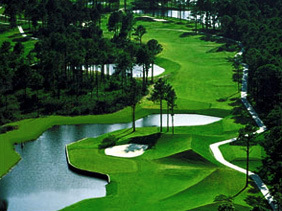 Eagle’s Point is one of the Hilton Head area’s most playable golf courses, neither too long, nor overly difficult. It provides terrific variety and puts maximum value on a golfers’ approach into the greens. The course is routed through pines, oaks, and native coastal wetlands. World-renowned golf course architect Rocky Roquemore crafted The Pinecrest Golf Club, in his first South Carolina Lowcountry design. Roquemore is known for co-designing three of the Disney World Courses (the Magnolia Course, the Buena Vista Course, and the Palm Course). He also has been the working golf course architect for Cog Hill in Chicago for the last 26 years. Perhaps most notably, he designed San Lorenzo Golf Club, the number two-rated course in Europe as rated by Golf World Magazine in 1995. The Pinecrest Golf Course Championship layout features: tall pines, strategically placed bunkers, challenging water hazards, premier conditioning, and picturesque golf holes. Island West has been rated 4 Stars by Golf Digest and is not your typical Low-county golf course. Golfers of all skill levels have the opportunity for good scores, a reflection of the spirit of our golf club and community. 1979 Masters Champion and 1984 U.S. Open Champion Fuzzy Zoeller and architect Clyde Johnston designed Island West to be a golf course that rewards hard work. The course is challenging but very playable making it a favorite with area golfers. Tee off one of Hilton head Island’s most distinctive course. The Palmetto Dunes Resort golf course layout takes full advantage of the area’s natural beauty, creating a round of golf that is both beautiful and challenging. Designed by Arthur Hills, the golf architect offers golfers a course with continuous lines of dunes and thick stands of palmettos. Though fairway bunkers are absent, off-balance lies, ocean breezes and lagoons add an element of challenge. With reason, the course has earned its reputation as delivering one of the island’s best golf experiences. As fine wine grows better with age, so does the Robert Trent Jones course at Palmetto Dunes Resort Following extensive renovations by Jones’ protégé, Roger Rulewich, the oldest course on the resort was named South Carolina’s “Golf Course of the Year” in 2003. Golfers not only look forward to wide fairways, expansive greens and subtle elevation changes but also a new lake and bunkers that have been reshaped and restored to Jones’ original design. Other notable features include the par-five 10th hole, one of the only two oceanfront holes on all of Hilton Head Island. When it comes to delivering a challenging round of golf in Hilton Head, SC, some courses should take a lesson from the young. The George Fazio Course at Palmetto Dunes is one of the youngest courses to ever appear on Golf Digest’s list of “America’s 100 Best.” With just two par-fives on the course, Fazio has designed a layout where the front nine features open, tree-lined fairways and the back nine becomes tighter and more severe. Regarded as the island’s truest championship challenge, the “Fazio Challenge” can be easily enjoyed by both beginner and advanced players. The Club at Savannah Harbor, located in beautiful Savannah, GA, offers you a unforgettable experience. The 18-Hole, Robert Cupp and Sam Snead Championship Golf Course boasts a four-star rating for “Highly Recommended Places to Play” by Golf Digest and is ranked among the Top 100 of America’s Golf Courses by Conde Nast Traveler. The course features 7,288 yards of golf from the longest tees for a par of 72. The course rating is 74.6 and it has a slope rating of 134. Designed by Robert E. Cupp, ASGCA and Sam Snead, the Savannah Harbor golf course opened in 1999. The Savannah Quarters Country Club golf course is an 18-hole masterpiece, designed by Greg Norman and managed by Troon Golf, voted the “Best Place to Play Golf in Savannah” by Savannah Magazine. The beautiful horizon views full with oaks and cypress trees frame this beautiful piece of nature created for challenging golf play. Crosswinds Golf Club is the area’s most unique golfing venue offering 27 holes of some of Savannah’s best golf. Known for our excellent greens and course conditions throughout the year, the 18 hole championship course is an open, parkland style design with no homes anywhere on the course, 6,512 yards of golf from the longest tees for a par of 72. The Par 3 course is a true golf design, not a pitch-n-putt, this course is the perfect place to practice your short game. Located in Bluffton, SC and set among the live oaks of Rose Hill Plantation, you’ll find one of the most memorable golf experiences in Lowcountry. This 18-hole gem is not only astounding but also provides great challenges for golfers of all skill level. Quickly becoming a favorite over the years, Rose Hill is immaculately designed as a player-friendly track that will test golf accuracy with its tight, tree-lined fairways and subtle elevation changes. In addition to the great golf to be played by PGCC students and resort visitors, Hilton Head Island is also the home to the PGA Tour’s RBC Heritage Tournament, played every April at Harbor Town Golf Links on The Seapines Resort.